For FREE Council or Assembly Web Site Consultation. Please send our webmaster an email. 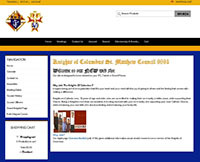 These are some of the K of C web sites I've designed.